Today we are off to visit Margie’s nephew, Brendan and his extended family who live in Deia on the Spanish Island of Majorca. 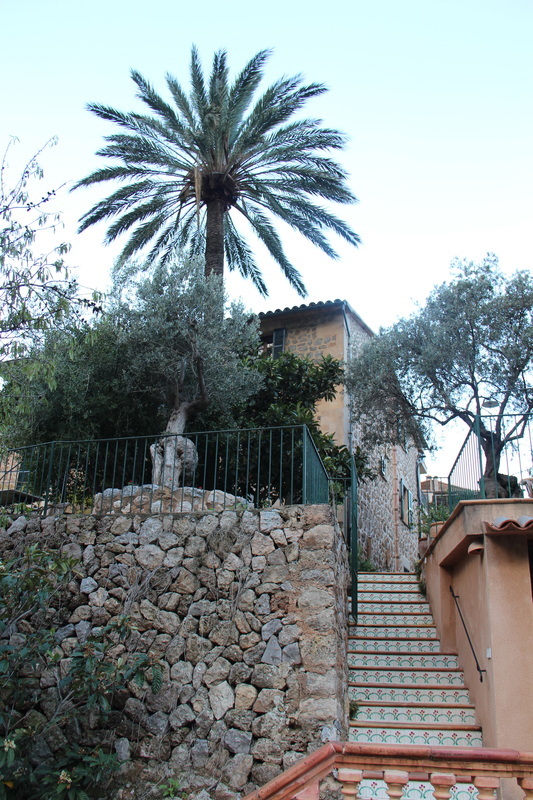 We get there by driving to Barcelona in Spain and then taking a quick and very cheap flight across to Palma which is the capital of the Island of Majorca. There Brendan will pick us up and drive us across the island to Deia where he lives with his mother and some other member of his extended family. More about that later. First the trip to Barcelona. We cross the border between France and Spain after a 60 minute drive and set course for Figueres where Margaret (the Art Teacher) advises me there is a Museum featuring the works of Salvador Dali. I too am a bit of a Dali fan so I am quite happy to make the diversion. 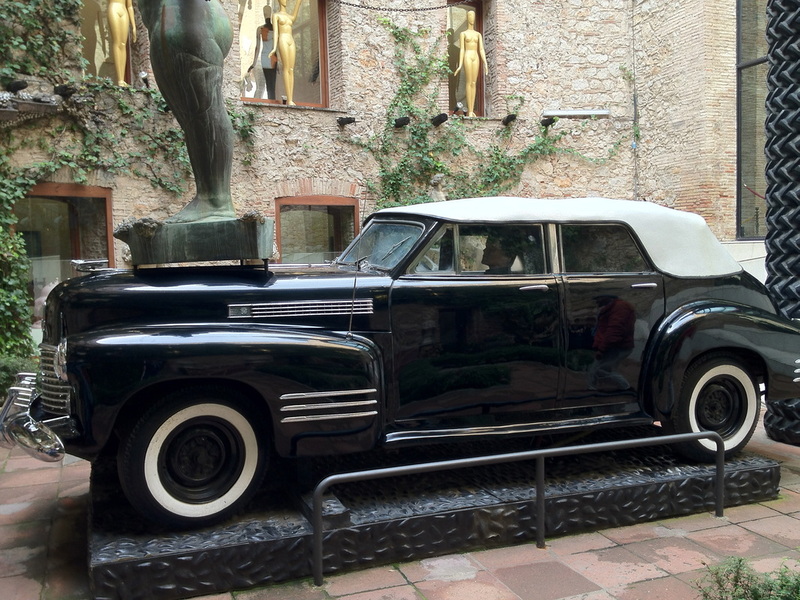 We park and have our lunch in a square in the centre of the city then find the Museum. The building is an old theatre and as you would expect laid out in a haphazard and eclectic fashion. 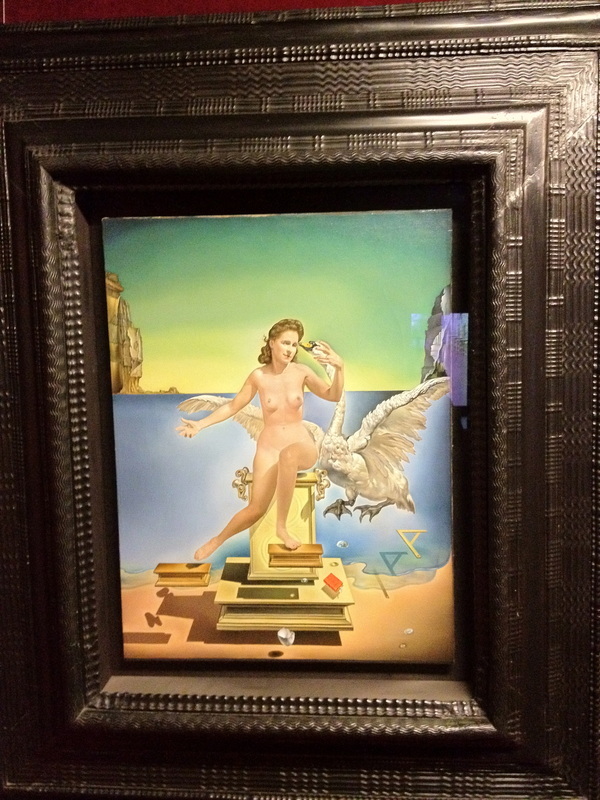 I have always liked Dali’s work without ever making too much of a study of this amazing surrealist Spanish artist. 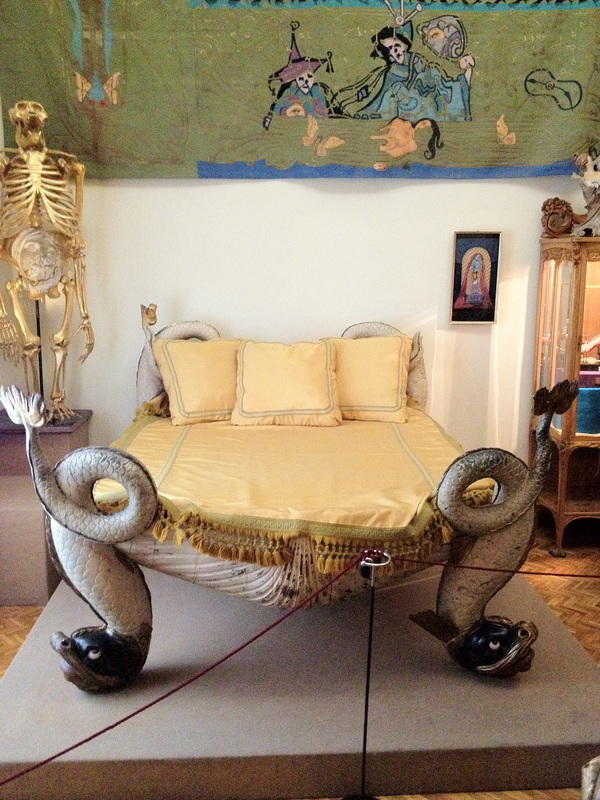 I remember seeing an exhibition in NY about 5 years ago that featured some of the films Dali had made. No films here but we have sculpture, paintings and what would be called installations in France. The works have genius and insanity mixed in amazingly unequal and confusing proportions. 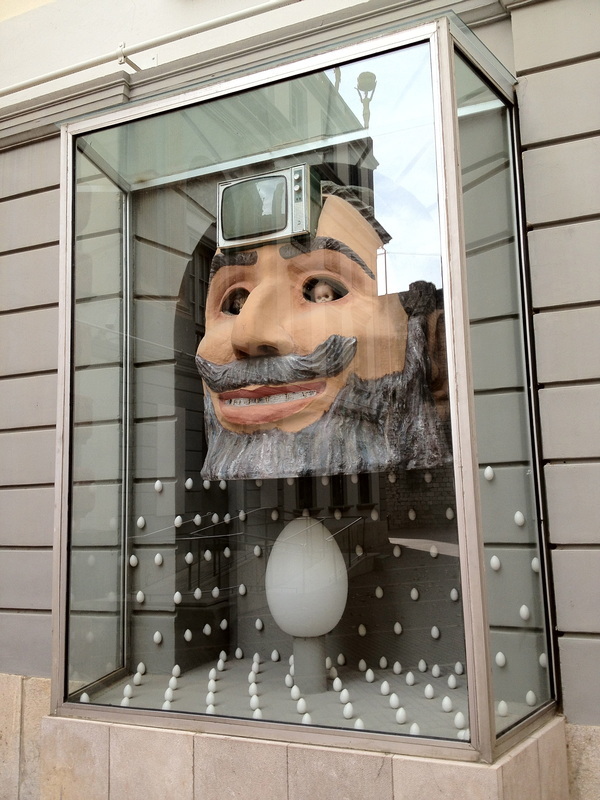 There is also humour and satire in much of what is on display. Dali takes off the great artists from Rembrandt to Picasso in a way that could only be done by a true satiric genius. He first takes their great paintings, or in some cases just their style, copies it as if to say, “see I can do this too …it not so hard” and then adds touches of Dalisms that provide the satire. 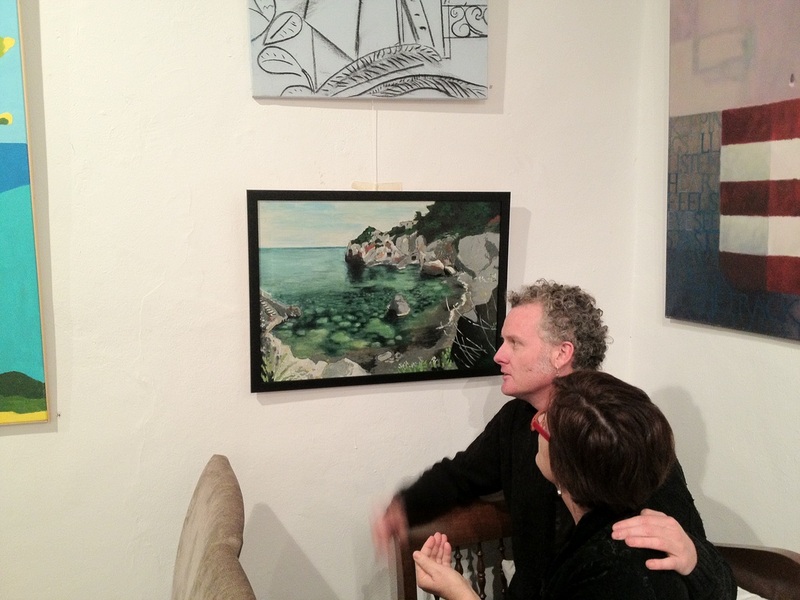 Also on displace are paintings that appear as it they could have just as easily been produced by an 8 year old as part of their school art class. Is Dali having his own joke with us here? Perhaps this is something that I just don’t have the capacity, training or education to appreciate. Maybe I’m just not crazy enough to get it. Elsewhere however there is evidence of the amazing artistic skill and draftsmanship that is the basis the works’ attraction. I leave before my head explodes. a comment on luncheon on the grass? Soon we are back on the road to Barcelona. With some help from Carmen (we have replaced Juliette now we are in Spain) we find a car park near the Hotel and the very helpful parking attendant helps us find the hotel which is about a block away. 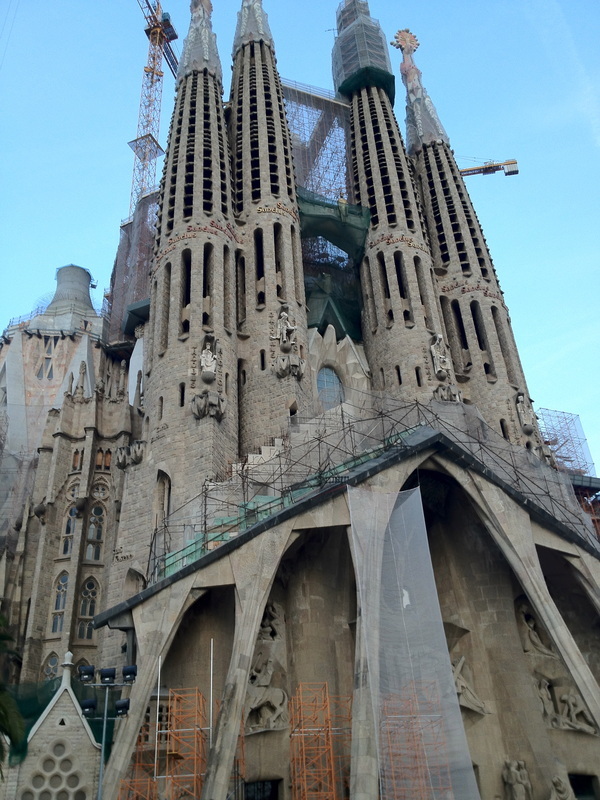 The Sagrada Familia is on our agenda in the couple of hours of daylight we have left. We have visited many cathedrals in the last 7 weeks. Westminster, Salisbury, Trinity in Dublin, Notre Dames in Paris and Sam Marco as well as in Amiens, Reims, and Lyon. Most of massive churches were built in the 12th to 14th Centuries. Some have modern touches such as the rebuilt Cathedral in Reims where Chagall produced the stain glass windows when the rebuilding occurred after WW I.
Sagrada Familia is totally different. Not only in the fact that it was commenced in the late C19th and still not finished but in concept, design and execution it is as far from the traditional cathedrals as Dali is from Da Vinci. The Spanish eclectic creativeness has been given full reign here. It epitomises just how wonderfully different this part of Europe is. Certainly there are similarities, the currency for instance, but deep down there is a marvellous diversity. Viva la difference. 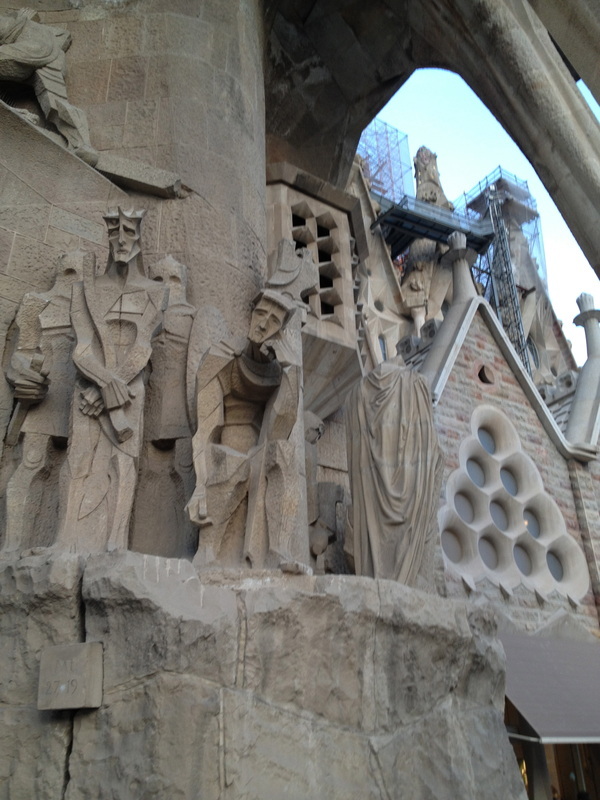 Antoin Gaudi made several designs for the Cathedral and work started in the 19th Century. Unfortunately he died in 1928 when he was run over by a tram. His work was continued but almost all his drawings were lost when his workshop was destroyed during the Spanish Civil War. The work on the Cathedral continues and is a topic that ignites much controversy. This however is not unusual for great works. As far as I can recall almost every great work of the last 1000 years has been a source of controversy. There can be no doubt that Sagrada Familia is a magnificent achievement which challenges all our concepts of how, where and why such buildings exist. 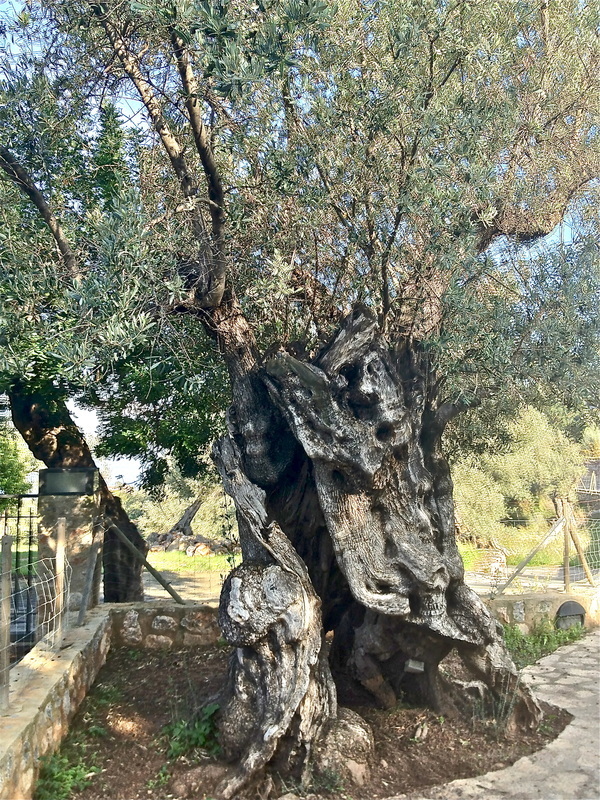 The organic way that it continues to grow is itself a challenge to our ideas of start work finish. Is it really the process or the journey and not the end that matters? There is a big covered market just off the Ramblas and we cant help checking it out. The food is again truly amazing. Fruit, vegetables and those aged Spanish hams are a feature.This market will definitely feature in my world food markets blog when I finally get around to it. We go out for dinner and find a nice upmarket Spanish/French restaurant. On the way home I have a further adventure. As we were walking home we were approached by a rough looking character who was offering us some type of card or flyer about Salsa dancing (or a Salsa dancing club). I tried to waive him away but he grabbed my hand and said something like “I show you salsa dancing”. I tried to shake him off but he was insistent and I realised something else was going on here so I spun him around and got behind him. By this time he had my watch off but I had him in a vulnerable position so I recovered my watch and checked my pockets. He decamped quickly and I realised I had been the victim of an attempted Barcelona mugging. Barcelona is pretty renowned for this sort of thing. Brendan also had a tale about being attacked by a mob of Moroccans who were similarly unsuccessful in getting any return for their efforts. Unlike people in other places they don’t really intend to hurt you just want some money or something they could sell. He would not have got much for my watch, as I’m not the Rolex type. 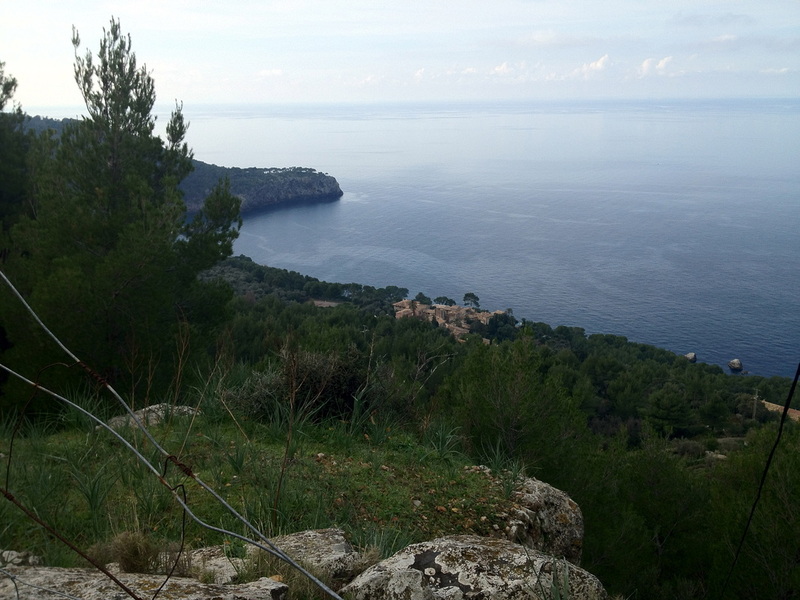 Next day we are off to find the Barcelona Airport and are soon winging it over the Mediterranean to Palma Majorca where Margie’s nephew Brendan picks us up and takes us on the 40 minute drive to Deia. 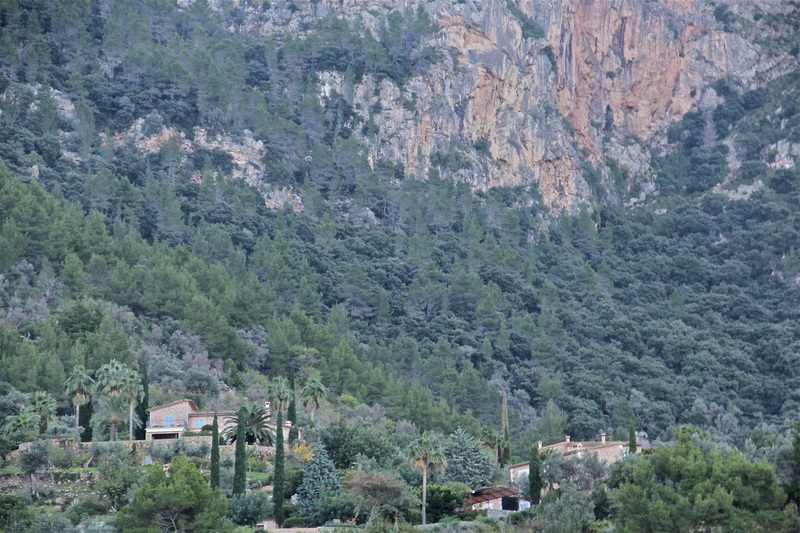 Brendan lives in Deia with his mother Frances (Fran) and an extended family. Fran left Australia in the 1970’s with 2 very young boys Brendan and Patrick McCann. Margie’s sister Jill later married their father Paul McCann and after a couple of years the boys came back to Australia to live with Jill and Paul. They went to school in Dubbo. Both boys seemed to have inherited an artistic gene and both love and play music beautifully. 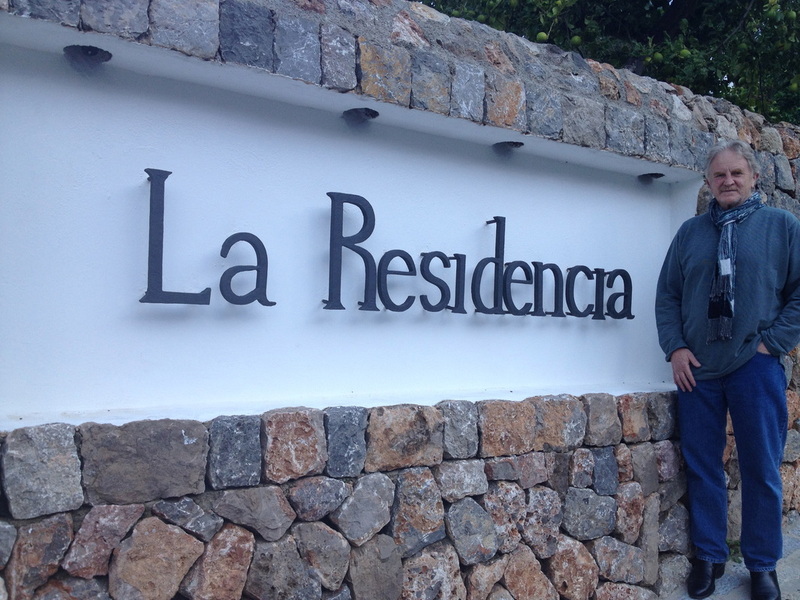 After university Brendan returned to Majorca where he has lived with his mother and her new family ever since. 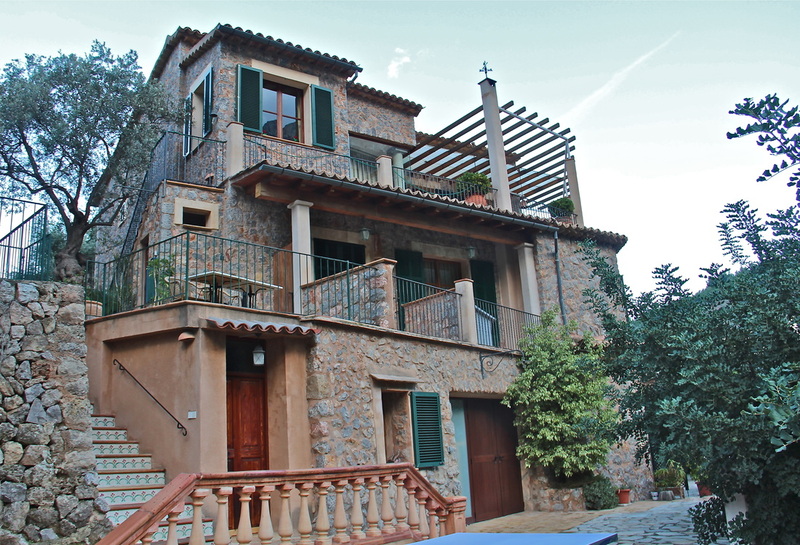 In modern times the Majorcan village of Deia is inextricably linked to the story of the English writer and poet, Robert Graves. We'd often talked this way before. Flowers in the garden, walls all white. Graves married before the end of the war and settled in Oxford. There were 4 children but his first marriage was over by 1927 and in 1929 he published “Goodbye To All That”. 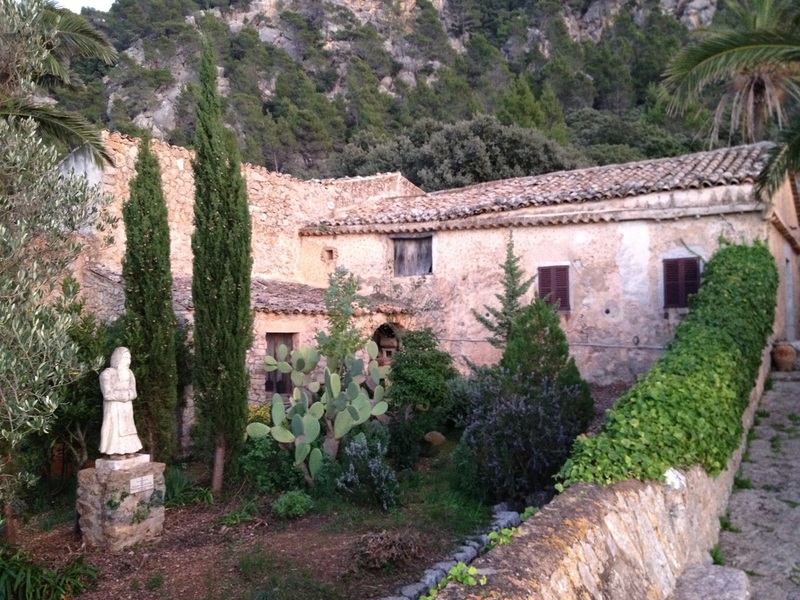 At that time he was influenced by the American Poet, Laura Riding, and they they left England to live in Majorca perhaps prompted to do so by Gertrude Stein. 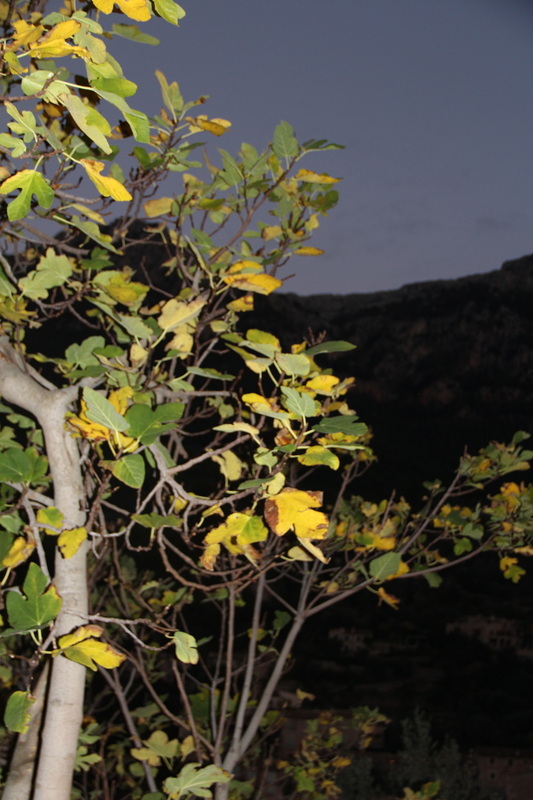 Graves lived in the small village of Deia and it was here that he wrote his best known novels, “I, Claudius” and “Claudius the God and His Wife Messalina”. The popularity of these works was enhanced for modern audiences by the BBC’s very successful adaptation into a television series. 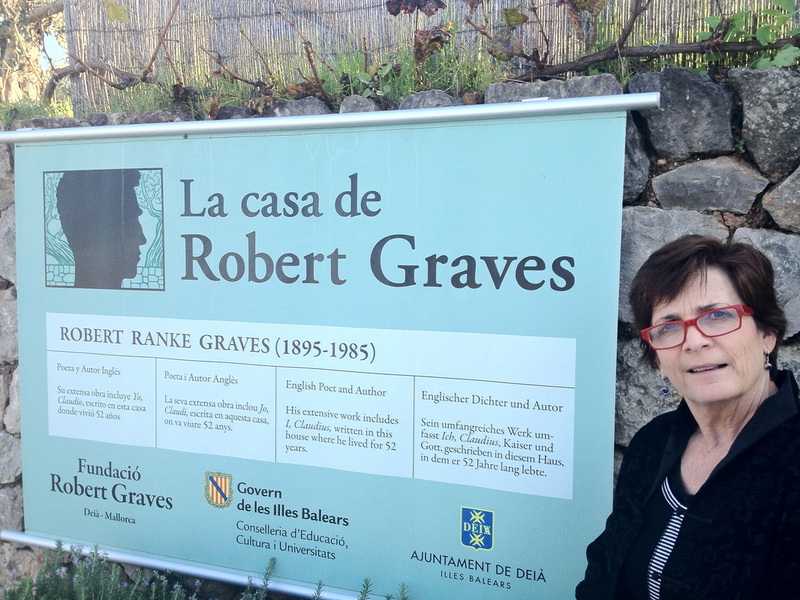 Graves was forced to flee Majorca in 1935 when the Spanish Civil War erupted. WW II then prevented his return for some time but after the war ended he returned with Beryl Hodge (nee Pritchard) with whom he lived in Majorca until his death in 1985. He and Beryl had 4 children, William, Lucia, Juan and Tomas. 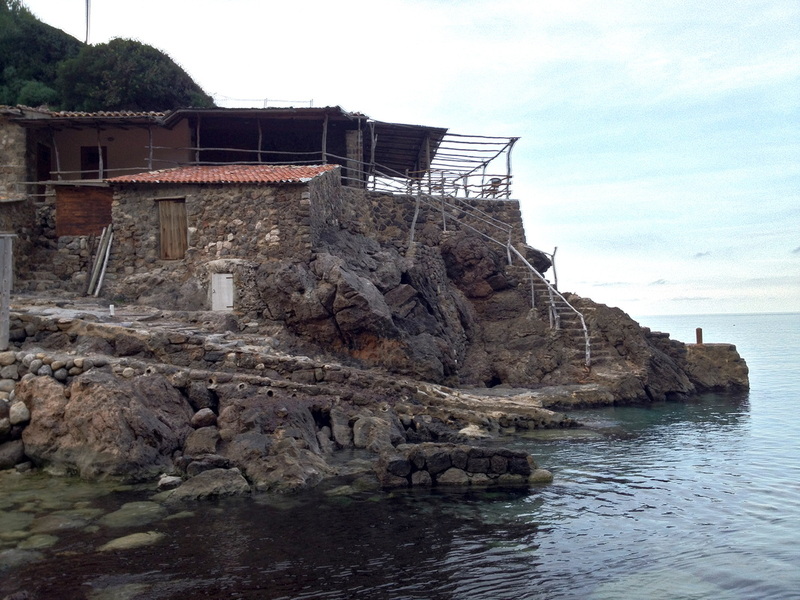 He helped make Deia a popular destination, initially for English writers and artists but now for all holidaymakers. In summer the small village of 600 permanent inhabitants is awash with tourists. A prolific writer, Graves published over 140 books. In the early 1960’s he returned to Oxford as a Professor of Literature. Brendan’s mother Fran is married to Juan. Fran’s story is also amazing. After leaving Armidale she serendipitously made her way to Deia to pursue artistic interests. There she met and married Juan. They have a son Llewellyn who lives and works as a DJ on Majorca. 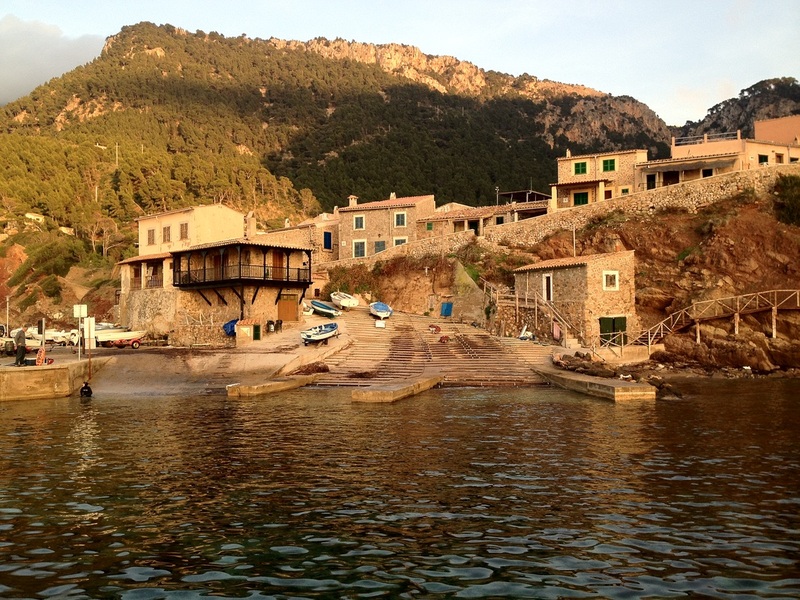 Deia is a charming village with restaurants and hotels that cater to its tourist trade. The Orient Express Hotel “Le Residencia” is particularly impressive and houses a small art gallery where both Brendan and Fran’s paintings can be viewed. 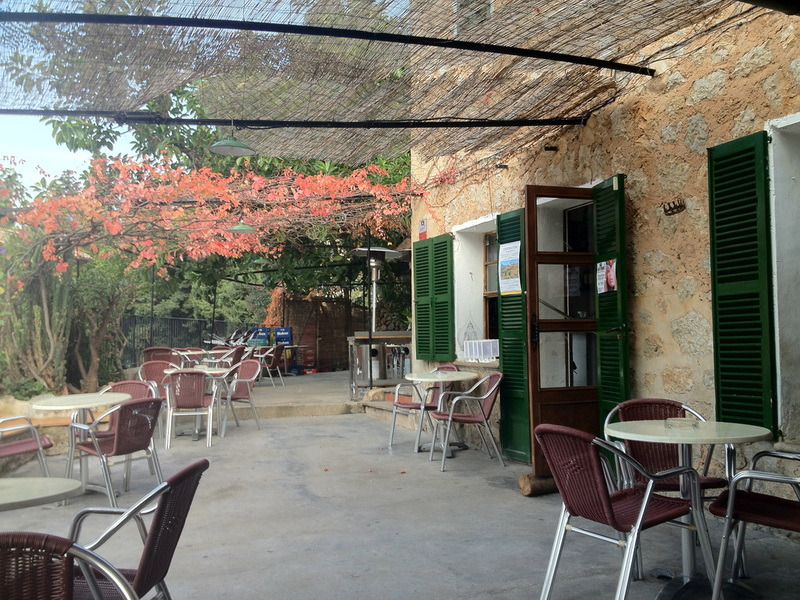 On Friday Margie,Brendan and Fran do a life drawing class whilst I have a coffee and update the diary in La fonda. Later Fran and Juan host us for a delicious lunch of rustic dark bread lightly toasted, drizzled with olive oil and rubbed with tomato then topped with Spanish ham, local cheeses and pickles. Of course washed down with wine. 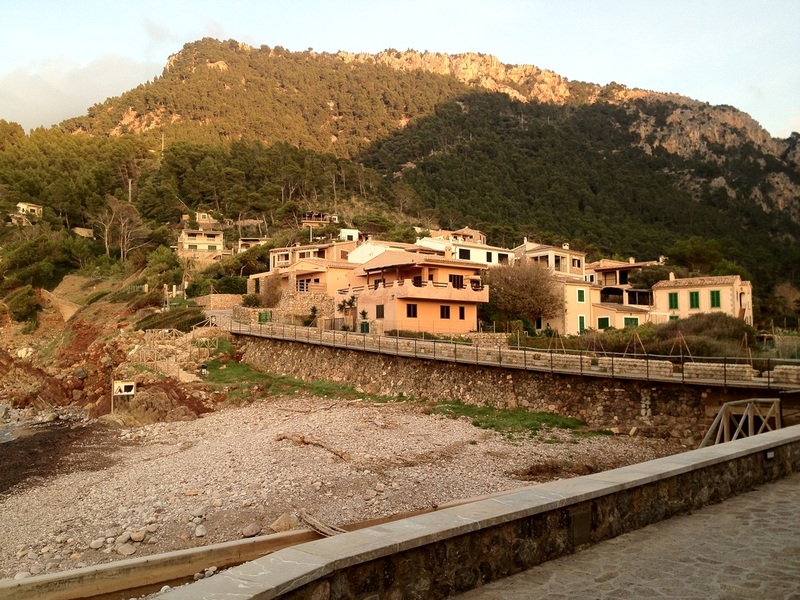 Then Fran takes us sight seeing around Deia. 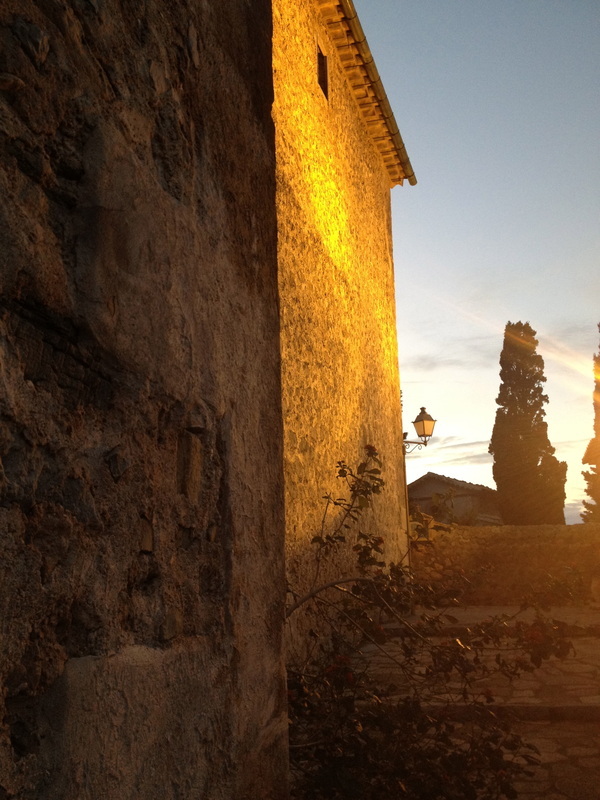 In the late afternoon sun the sea, the mountains, the sky and the stone buildings make a spectacular sight. Brendan plays in a band with his uncles, Pa Amb Oli (literally translates as Bread and Oil).There is a link at the end of this section. Along with the bars, Italian Trattorias and Spanish restaurants, there is also a small Chinese Restaurant, Ca Cova. Here the host, Ondine is charming and her mother, the chef, prepares the most flavoursome Chinese home cooking. 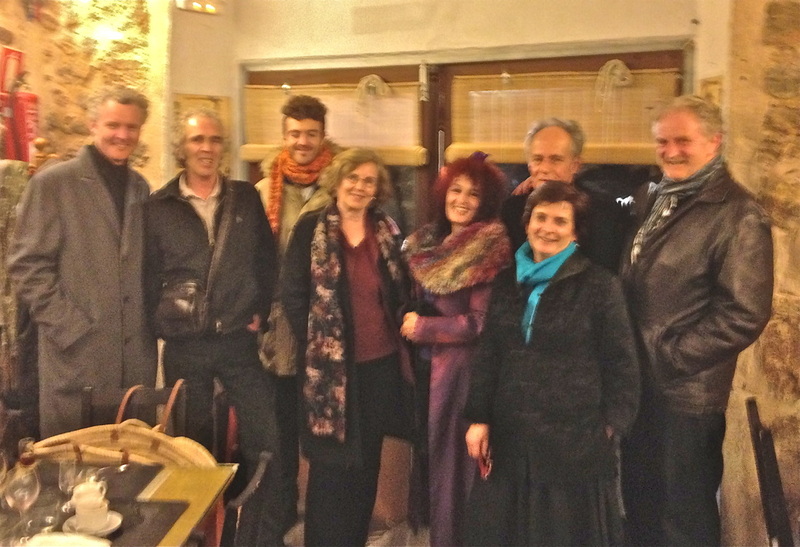 We have a lovely dinner here with Brendan, Fran, Juan, Llewellyn, Lucia and her husband Frank. 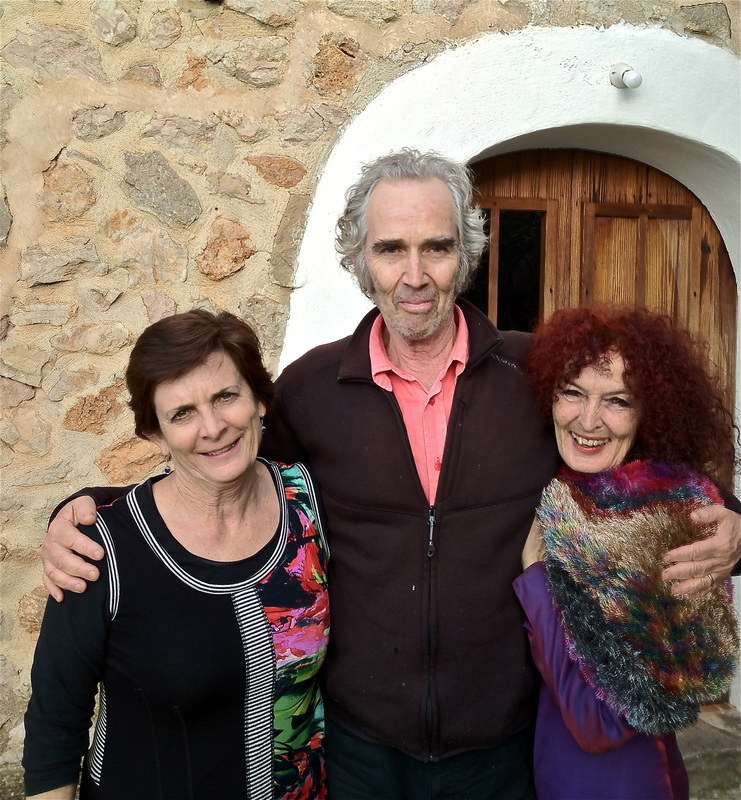 I have a good conversation with Lucia who has written several books including “ A Woman Unknown” as well as translating a number of others including the successful “La sombra del viento (The Shadow of the Wind)” by the Spanish writer Carlos Ruiz Zafon. This book sold 15 Million copies worldwide. In this company I feel quite nervous in confessing that I like to write. The meal is truly one of the best we have had on this trip. My perception no doubt coloured by the pleasantness of our host Ondine and the company at the table. 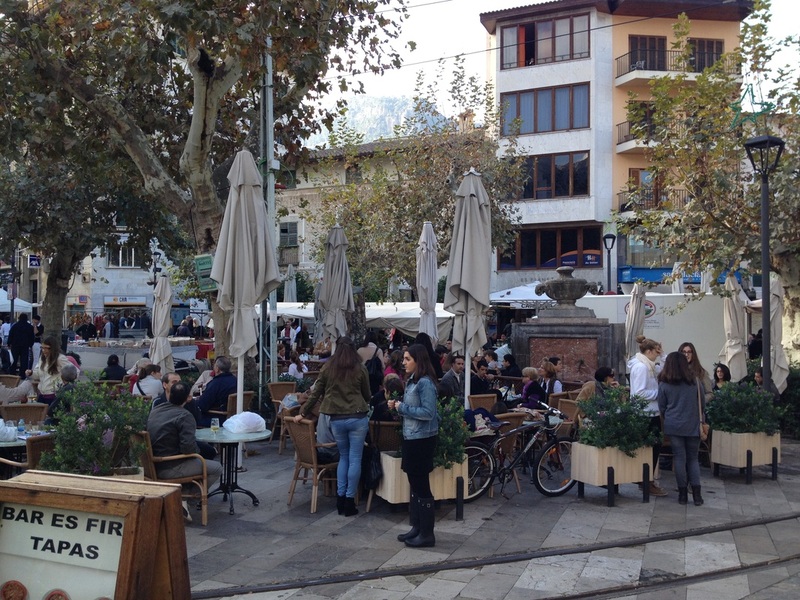 The next day we take a trip with Brendan to the village of Soller where there is yet another market. Then it is back to Palma to board the Air Berlin flight that delivers us back to Barcelona with customary German efficiency. Margie drives for the first time in Europe between Barcelona and the French border. We arrive home safe and sound. On Saturday 12th August 2009 the Pa Amb Oli band celebrated their 30th anniversary by inviting all band members old and present including guests to play a concert at the Sa Fonda bar in Deia. The present band line-up includes the four original members Tomás (Bass) and Juan Graves (Rhythm), Jordi Ramone (Drums) and David Templeton (Vocals and Harmonica) along with Brendan McCann (Lead) and Frances (Vocals and B/Vs). Various guest musicians and singers helped out on the night including Andrew Lloyd Weber on boogie woogie piano along with some fine ranch and roll vocals from Patrick McCann and some superb raunch and roll from the Goughs Blog, Barbar and Dickon while criss-cross rhythms and happy vibes were percussively provided in the background by Hamish McDonald. Warning: These recordings are very rough n ready outtakes from the night. Dont worry about video just listen!